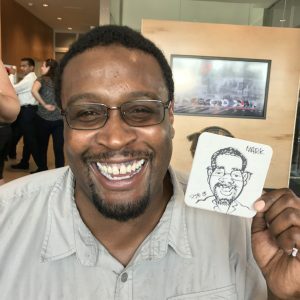 If you want something a little different than traditional caricatures, check out our caricature coasters! 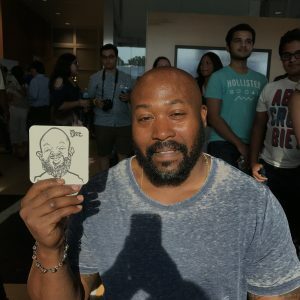 Our talented artists will draw your guest’s caricature on a 4X4 heavy cardboard drinking coaster in as little as 2 minutes! 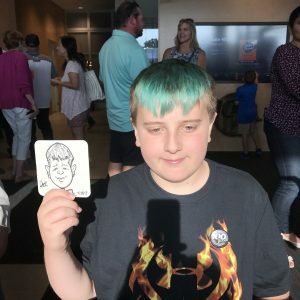 For an extra fee, we can also print a full color logo, graphic, text or image on one side so guests will always remember where they got their unique gift.